“The Talmud tells us that one who saves a life saves the world. In essence, that is what Chanukah is all about, a handful of people refusing to stand by and instead standing up to end the religious persecution nearly 2,200 years ago. But only 68 years ago Raoul Wallenberg made the ultimate sacrifice for doing the right thing. There are literally thousands in Borough Park who trace their lineage to someone saved by Raoul Wallenberg, and many of us would not be here today without Raoul Wallenberg. That is why we are here along the most important commercial strip in Borough Park recognizing Raoul Wallenberg. He chose to do the right thing, which is why he is a genuine hero. It is that lesson that we celebrate with this street naming in honor of a person who stood up and made a difference,” said Councilman David G. Greenfield. “The realization of Raoul Wallenberg Way will forever be a testament to the heroism of Raoul Wallenberg and will indeed forever be a symbol of our gratitude to Raoul Wallenberg for saving 100,000 Jewish lives many of whom later re-established themselves here in Boro Park including my late grandfather, the previous Liska Rebbe of blessed memory,” said Ezra Friedlander, CEO of the Friedlander Group, which spearheaded the creation of the Raoul Wallenberg Centennial Celebration Commission. “Raoul Wallenberg saved members of my own family and yesterday we celebrated the life of a true hero of the Jewish people who will always occupy a special place in our hearts. 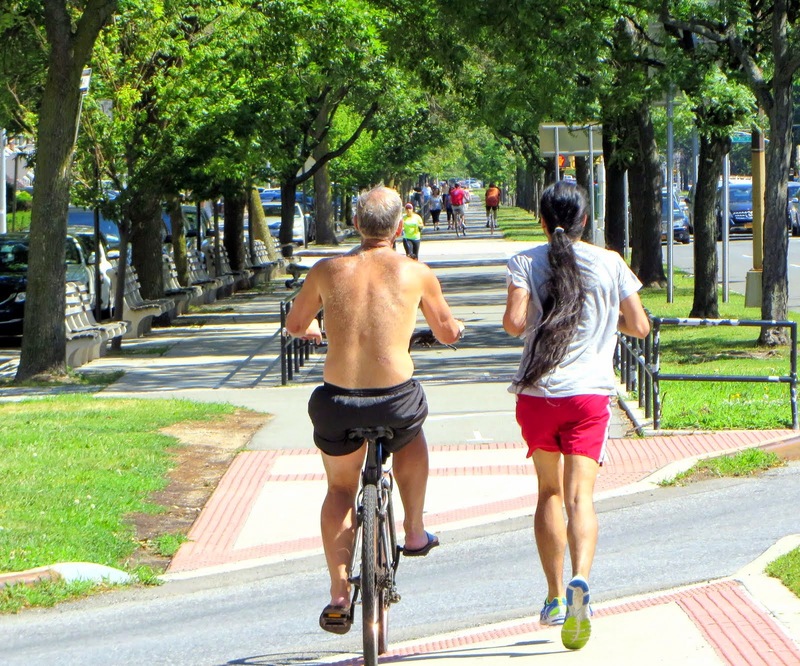 That’s why the street naming ceremony was a true Kiddush Hashem and on behalf of the Wallenberg Commission, we thank Council Members David Greenfield and Brad Lander,” said Peter Rebenwurzel, chairman of the Raoul Wallenberg Centennial Celebration Commission. “Sweden is very fortunate to participate in this event to honor Raoul Wallenberg and we are very proud as a country to have him as part of our legacy. I want to take this opportunity to thank Councilman David Greenfield and Councilman Brad Lander for holding this important event,” said Honorary Consul General of Sweden David E.R. Dangoor. “I would like to thank the Wallenberg Commission for putting forth this wonderful street renaming so Raoul Wallenberg’s name is here forever. One hundred years from now we have to make sure Raoul Wallenberg’s name is not only marking this street, but something that means something important to us,” said Consul General of Hungary Karoly Dan. “Raoul Wallenberg is certainly one of the great heroes of our time, and we need to never forget his incredible courage and his inspiration in the face of tragedy. He certainly is a man for all the ages. How appropriate it is that we keep strong the name Raoul Wallenberg here in Borough Park. Congratulations to David Greenfield and Brad Lander for sponsoring this resolution,” said State Comptroller Thomas DiNapoli. “Let this sign indicate from today and for all the days to come exactly who the true world heroes are. They are not sports figures, and they’re not entertainers, they are men and women who put their own life on the line to ensure democracy, freedom and equality, and to stand up to injustice. Let this corner stand as a testimony from this day forward that goodness will always prevail over evil, and the true heroes of this world are people like Raoul Wallenberg,” said Brooklyn Borough President Marty Markowitz. “This is such a great moment here in Brooklyn, as we make the statement that we will never forget those who stood up and did the right thing, and realized that we are all connected as people. Raoul Wallenberg showed that in the middle of such inhumanity, there are those who don’t forget that we are one people. Thank you to Councilman Greenfield for bringing us together. Even on a rainy day, the sun is still shining because this is a great moment for our city,” said former Comptroller Bill Thompson. “We still face forces of evil, and there are still forces that seek to destroy, so this street renaming is a sign and a light. It is very appropriate that it be during this period of Chanukah. It is a light to the world of hope and determination to make sure that good survives, and I want to thank Council Members Greenfield and Lander for bringing this great opportunity. We will never forget.” said Assemblyman Bill Colton. “This is a righteous person and someone who should be recognized by the world. It is certainly appropriate that the main street in the middle of Borough Park be named for Raoul Wallenberg. When young children pass by, their parents will be able to tell them that Raoul Wallenberg is a real hero for all of eternity,” said Assemblyman David Weprin. “This co-naming is very important, especially for the younger generations who do not know as much about our history, so that we look up and see Raoul Wallenberg Way. That is the way that you should live your life,” said CB 12 Chairman Yidel Perlstein. “I am proud to join the community in paying tribute to the life of Raoul Wallenberg. His actions saved so many lives during the Holocaust. He is a hero not just for Jews, but for all of humanity, and his story should never be forgotten,” said Councilmember Brad Lander in a statement. 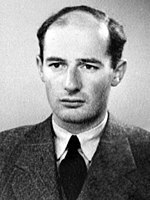 Raoul Wallenberg was a Swedish diplomat who put his life on hold in the summer of 1944 and embarked on a mission that led to the saving of as many as 100,000 Hungarian Jews who were otherwise bound for death in Nazi concentration camps. Serving as first secretary at the Swedish Legation in Budapest, Wallenberg devised a plan to issue Swedish “protective passports” and establish safe houses in buildings throughout Budapest. “It was great to see so many community members take the time to join us for yesterday’s ceremony. It is only right that our community show hakaros hatov for Raoul Wallenberg’s inspiring and selfless actions, so my thanks to Councilman Brad Lander, the Wallenberg Commission and everyone who worked hard to make this event a reality. As a result of this street co-naming, the name Raoul Wallenberg will live on forever along 13th Avenue here in Borough Park,” concluded Councilman Greenfield.